As the year draws to an end, I thought it would be fun to revisit the cards I made this year. 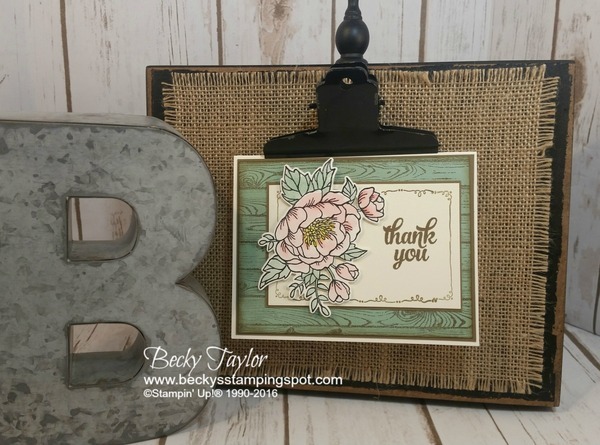 Some are posted on this web site and others are on my old blog at http://www.beckysstampingspot.stampinup.net. Choosing these cards was really difficult. I think at the time I make each card, it becomes my favorite. And looking through these I see which stamp sets became my favorites too! 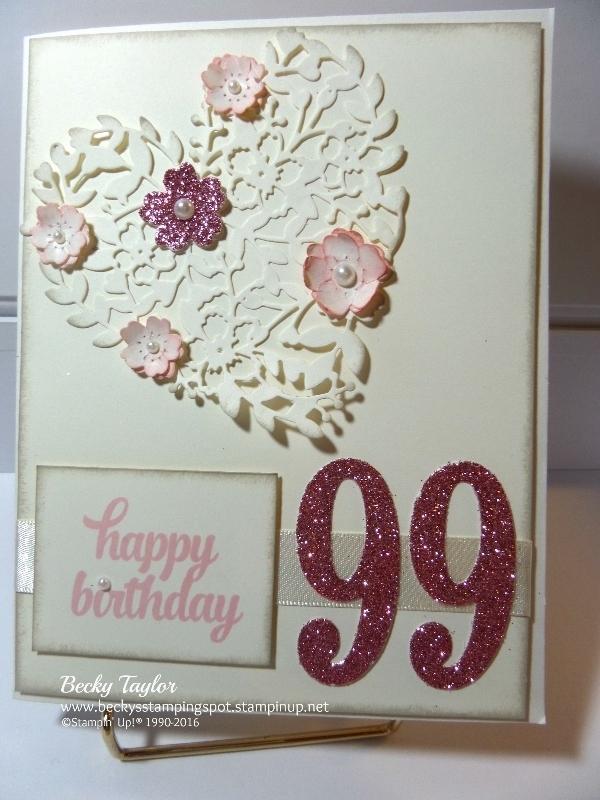 One of the first cards I made this year was for my husband's 99 year old aunt. It uses the Bloomin' Heart Thinlitsand the Large Number framelits. (Now I need to outdo myself for her 100th coming up in a couple of weeks!). 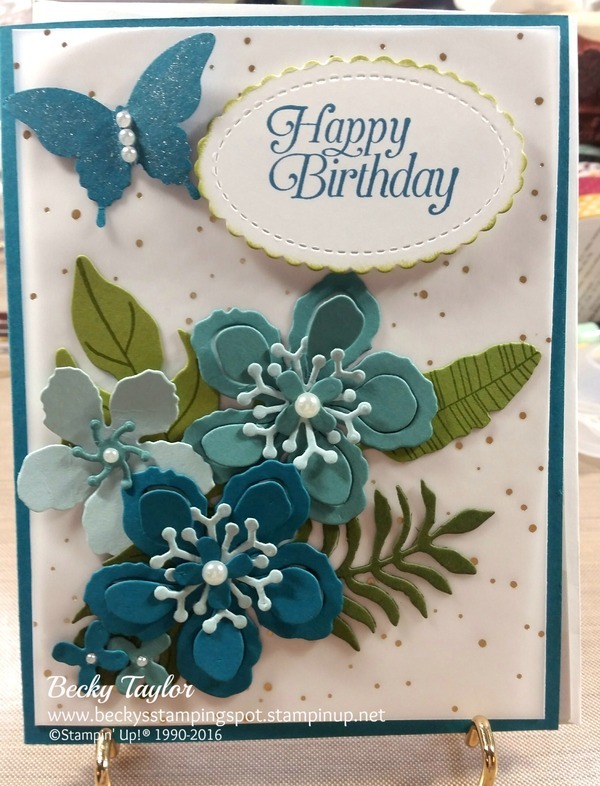 I also made these cards using the Birthday Blooms--I love to watercolor and these were done in different colors. Using the same Botanical Builder Framelit dies, you can see that using different colors can make a huge difference in the cards you make. 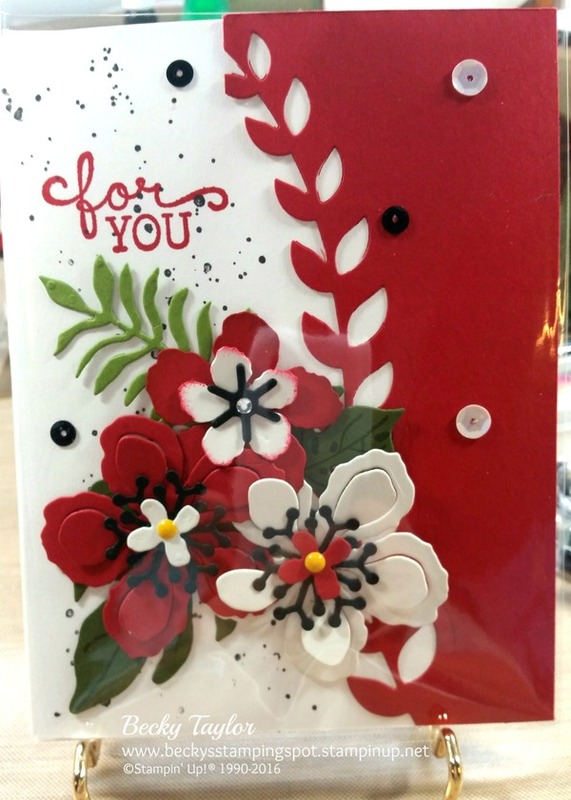 The next card uses the Detailed Floral Thinlit Dies. 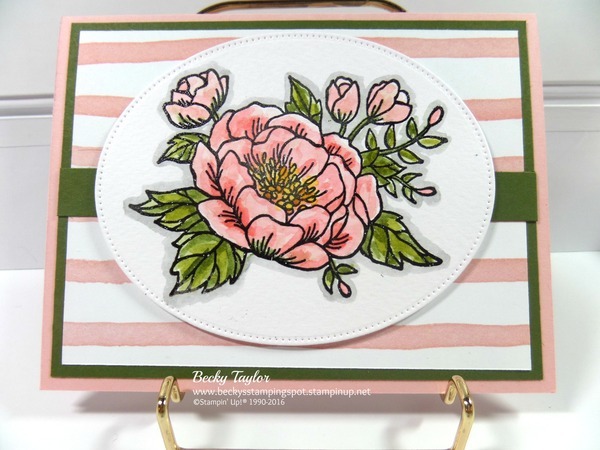 And the next uses a new stamp set that came out in the annual catalog. It totally reminds me of lazy summer days here in the South. 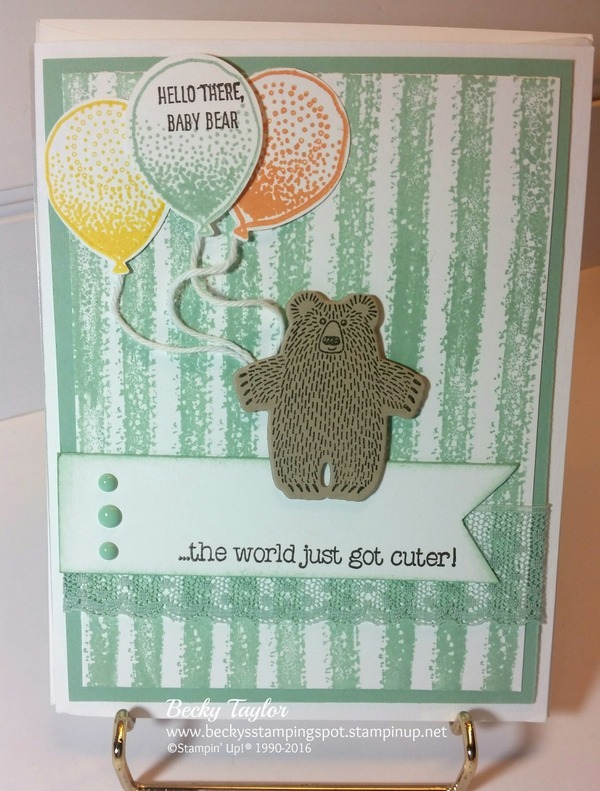 I loved using the Baby Bear from the Bear Hugs set to make a baby card. 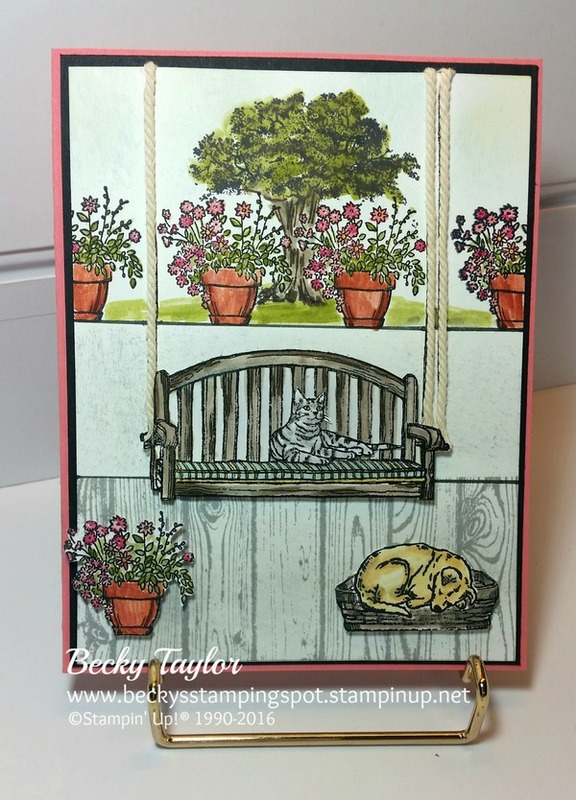 I used the stripe stamp from Work of Art to make the background and the balloons came from the Balloon Celebration Stamp Set. 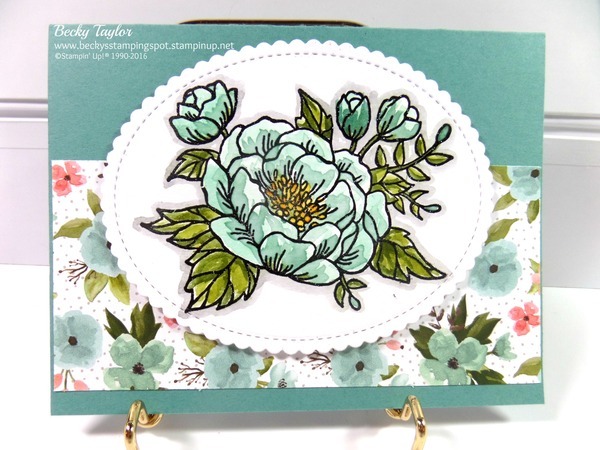 It's a lot of fun to combine the best of the stamp sets to make what you like! 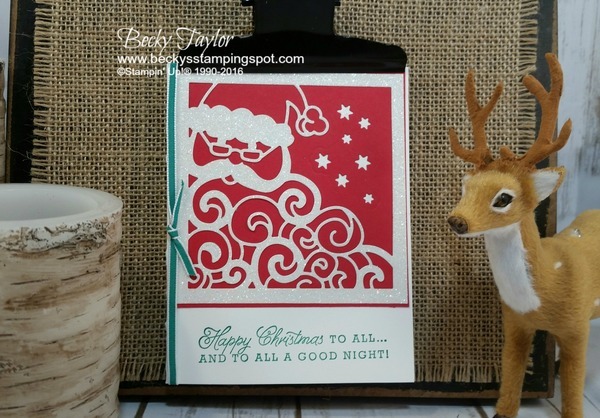 And using the same stamp set to make a masculine card! One of my favorite Christmas cards was this one using the Detailed Santa thinlits. 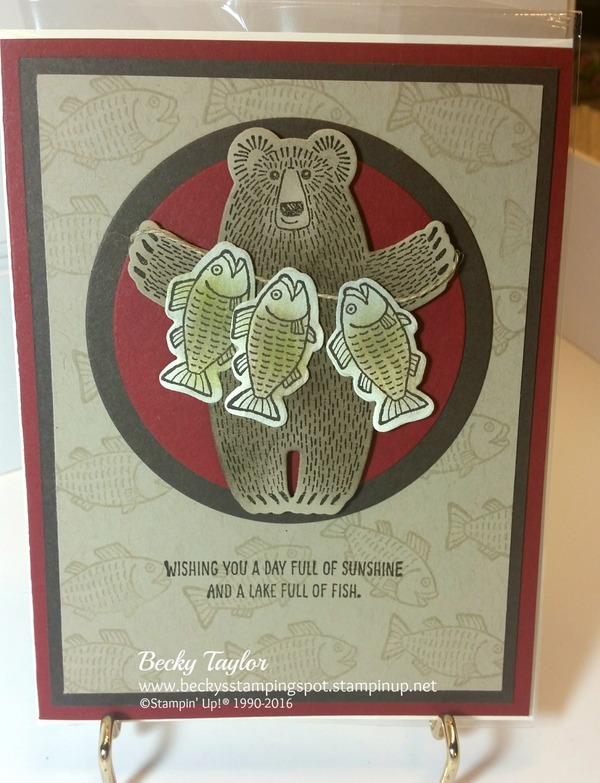 Love how he shines with the Dazzling Diamonds Glimmer card stock. 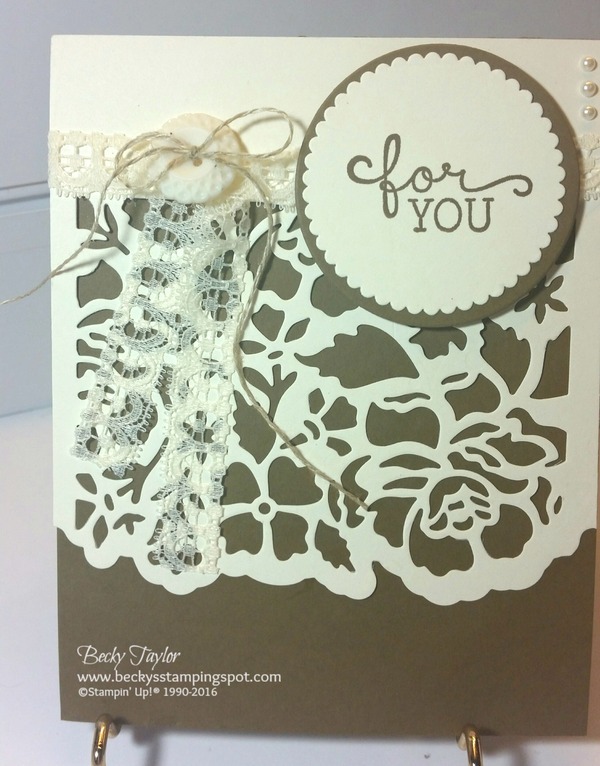 And the final card is the card I made for the Atlanta Onstage swap. 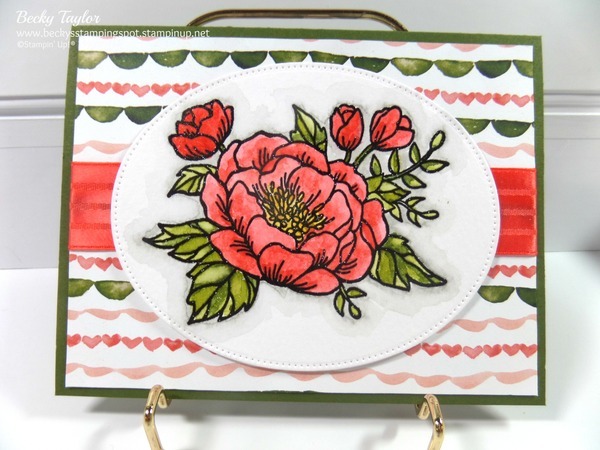 I loved watercoloring and love this stamp set! I hope you've enjoyed this walk with me down memory lane!